Czech publisher KON Agency s.r.o. 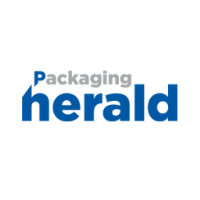 has launched a new B2B magazine to cover news and trends in the packaging industry, titled Packaging Herald. The bi-monthly magazine has named Adriana Weberová as editor in chief, and will cover packaging manufacturers, suppliers, and retailers. Weberová joins from trade magazine Systémy Logistiky, where she served as editor. Be the first to know what’s new as the pub launches by following on Twitter.